With its 28-million-pixel, backside illuminated sensor, the NX1 offers some of the very best image quality we’ve seen from an APS-C camera, particularly at low ISOs. With no optical low-pass filter to sap the sharpness, it offers exceptional levels of detail, and while it’s not dramatically ahead of its rivals with 24-million-pixel sensors, it’s still probably the most detail we’ve seen from an APS-C-sized sensor. Increasing the ISO naturally results in more noise, but the NX1 still compares quite well with other APS-C cameras, offering perfectly usable images at sensitivities up to about ISO 1600 before noise starts to have a serious impact. 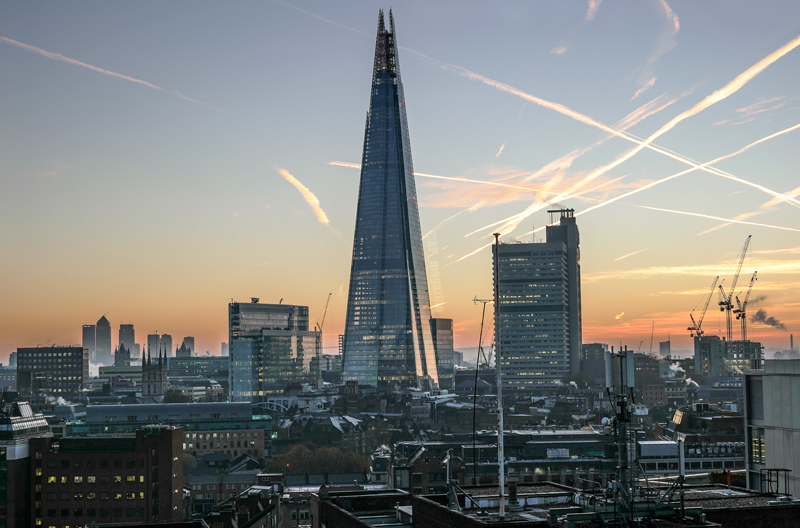 The next couple of settings – ISO 3200 and 6400 – are still quite acceptable, but the highest ISOs start to look very noisy indeed and should only be used when there’s no other option. 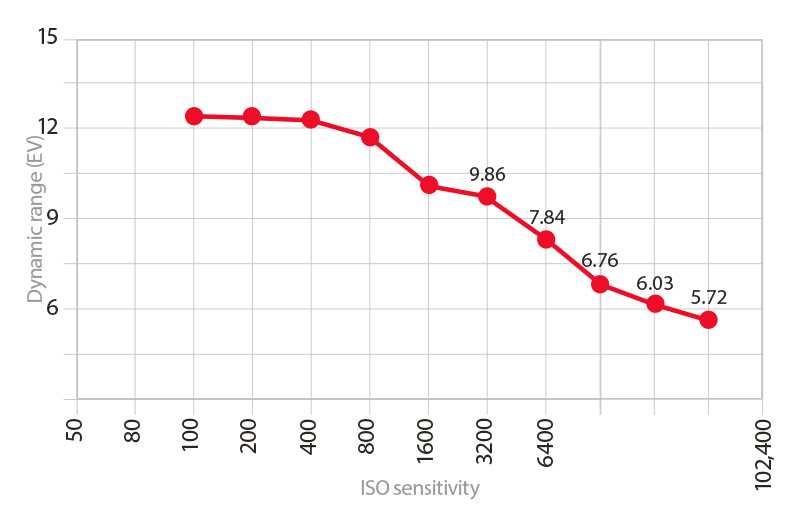 In fact, ISO 51,200 is barely acceptable at all, but this is pretty much standard for an APS-C camera. Dynamic range is very creditable at low ISOs, and it’s possible to pull up a good amount of shadow detail without running into huge problems with noise. As usual, it decreases at higher ISOs, and shadow detail starts to deteriorate visibly at ISO 3200. Overall, Samsung has done an impressive job with the NX1’s new sensor. 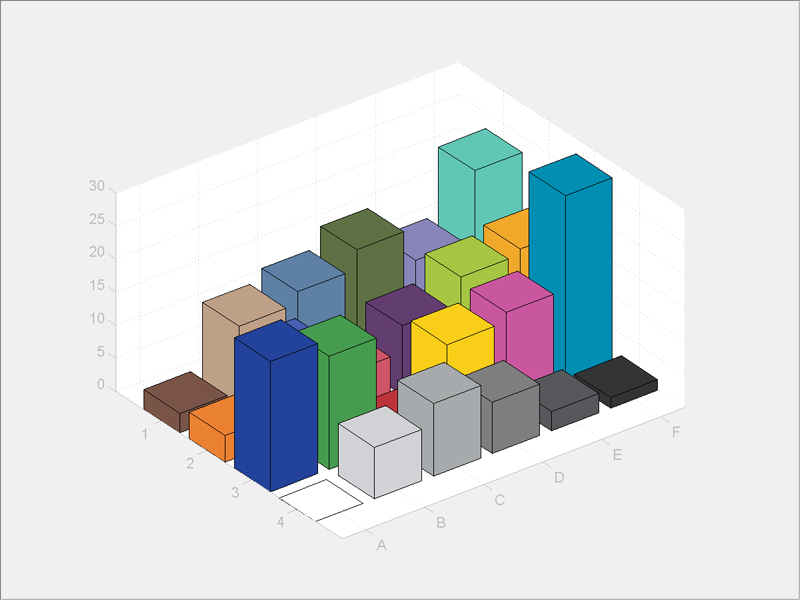 This 3D graph illustrates the shift from the reference colour to the photographed chart: the higher the peak, the greater the shift from the original. In the default JPEG colour setting, the NX1 delivers bright and strongly saturated colours, giving a fairly punchy but still quite natural-looking rendition. 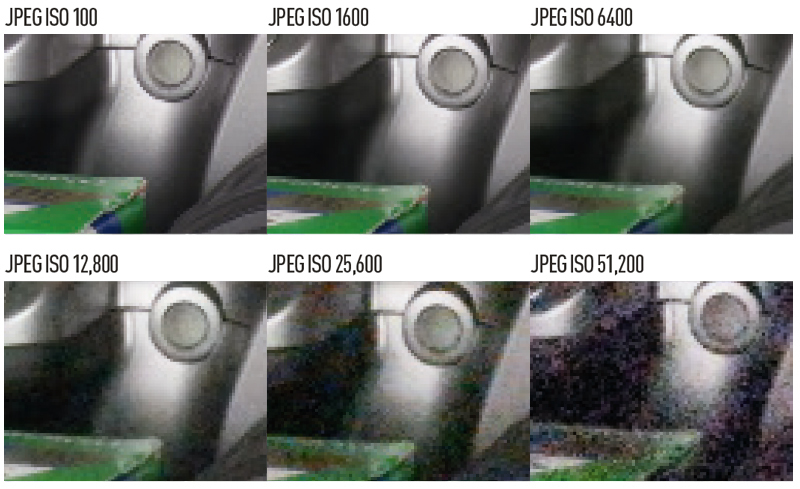 Contrast is relatively high in the highlight regions, meaning that the paler tones in this test are rendered a bit lighter compared to other cameras. Colour settings can be adjusted in the camera’s Picture Wizard menu, with modes such as Vivid and Portrait on offer. Despite its high pixel count, the NX1’s sensor shows excellent dynamic range, presumably thanks to its backside-illuminated design. Our Applied Imaging tests show an impressively high dynamic range of 12.6EV at ISO 100, and this holds up well at lower ISOs. But it starts to fall off quite quickly past ISO 1600, indicating that shadow regions in particular will become increasingly noisy. 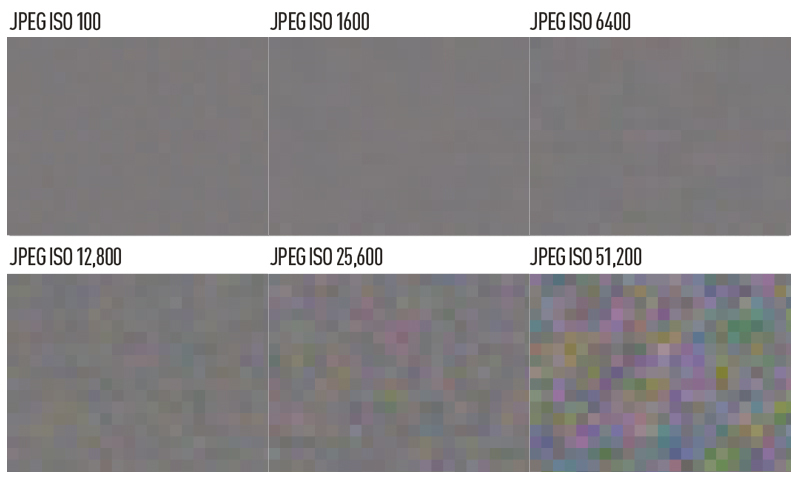 Sensitivities of ISO 12,800 and higher offer distinctly low dynamic range, so they won’t be very usable. 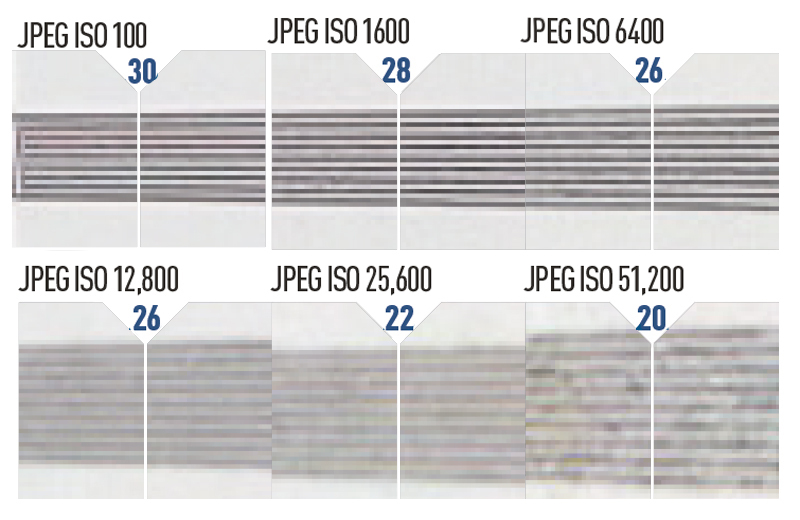 The images above are printed at a resolution of 300ppi, reflecting a high-quality print. At low ISOs the NX1 delivers impressively clean, detailed images that match or surpass any other APS-C camera we’ve tested. Noise creeps in, and the finest detail visibly starts to suffer, at around ISO 1600. Things then go downhill quite quickly, and while ISO 3200 and 6400 are quite usable for less-critical applications, sensitivities of ISO 12800 and higher are marred by high levels of chroma noise. Adobe Camera Raw does a vastly better job of dealing with high ISO noise than the camera’s JPEG processing, and gives much more usable results at ISO 3200 and higher. Even ISO 12,800 isn’t too bad, and carefully processed ISO 25,600 could be acceptable for small output. However, ISO 51,200 is still probably a step too far. The grey-card images above are JPEG files shot with the NX1’s default noise-reduction and colour settings applied. The images are printed at 300ppi to reflect the noise that would be experienced when printing at high quality. The NX1’s files are extremely clean at ISO 100, and while luminance noise increases as the sensitivity is turned up, images remain pretty clean-looking in print up to ISO 1600 at least. Chroma noise becomes quite obvious at ISO 6400, giving visible colour blotching, and then increases dramatically at higher ISOs. The top two sensitivities are very noisy indeed.